We were founded on it. In the late nineties founding director Brian Smellie came up with a GPS clock with a difference. In his spare time, in a spare room at home he put together the TCG01. We're still making it, though it's been majorly updated! This substation clock used a revolutionary design to be the most cost effective atomic accuracy clock available. Customers from NZ and overseas started lining up. Before long 90 had sold and an IT client of Brian’s, Ian Mills, suggested they join forces to bring timing products to the world. Tekron was founded in 2002 in Wellington, New Zealand. Many of those TCG01 units remain in service and our relationship with the original customers continues to this day. 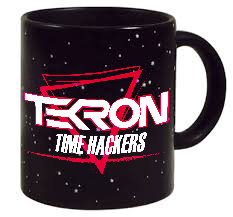 Tekron clocks are now used in everything from feature film data security and editing to oceangoing research vessels, sports television, spacecraft and national power grids. 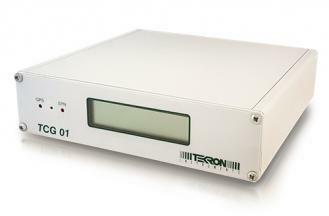 These days we make GPS and GLONASS Satellite Clocks, Rubidium Atomic Clocks (including Miniature Atomic Clocks-MACs) and Stratum 1 Network Time Server solutions supporting NTP, PTP, 61850, IRIG-B, 1pps, PRP and many other standards. Anywhere that precision time is required, we can help. And we're not stopping there. We're deeply engaged with our customers and the industry to keep on innovating, solving problems and creating new kinds of value. For a more detailed dive into who we are as a company and what we do, see our eBook downloads here. Then for more on exactly how these clocks are used in the field, see our case studies under updates and media. And if you know the technical features you want, see our flowchart or get in touch.